On 15 February 1943, Chief of Naval Operations Admiral Ernest J. King assigned responsibility for sea-going development of helicopters to the U.S. Coast Guard. Admiral King quickly realized the helicopters unique capabilities were a way to increase maritime security during World War II. 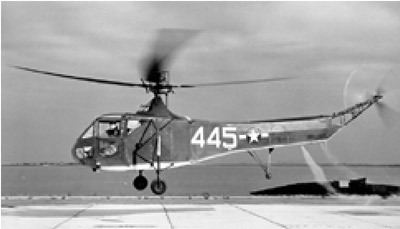 The first helicopter to enter the Navy’s inventory, an HNS-1, Bureau Number 46445, was tested and accepted by Naval Aviation’s first designated Helicopter Pilot, Lieutenant Commander Frank Erickson, USCG, at Bridgeport, Connecticut, on 16 October 1943. He brought his trusted lead helicopter mechanic AMMC Oliver Perry along with him to inspect the aircraft and sit in the co-pilots seat during the one-hour test flight. This was the beginning of a 75-year journey driven by man’s ingenuity, skill and daring, as industry and technology constantly improved rotary wing aircraft. During the Coast Guard’s 75 years of helicopter operations, 26 aircraft have crashed and 79 aircrew lives have been lost. Nonetheless, Sikorsky Aircraft Corporation now proudly boasts that over two million lives have been saved by their helicopters in the last 75 years. Dozens of other manufacturers helicopters have been used around the world to increase that total to well over three million people. 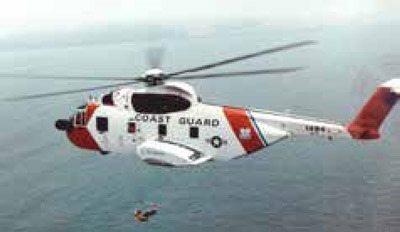 The following scenarios are just a handful of examples of the important missions flown by Coast Guard helicopters since those first flights in 1943. 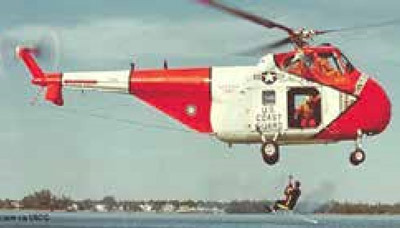 The first life-saving mission made in a military helicopter was conducted by the first Naval Aviator qualified to operate a rotary wing aircraft, Lieutenant Commander Frank Erickson, USCG. torpedoed by a German submarine which had been seen in the area a few days before) and over 100 sailors were injured. Large quantities of plasma were urgently needed at local hospitals to ensure the success of the surgeries required to save the sailors’ lives. A major snowstorm with blizzard conditions had closed all airports in the New York and New Jersey area, and all fixed-wing aircraft were grounded. Winds exceeded 30 knots and ceilings were below 200 feet with snow squalls and heavy turbulence. The Third Naval District commander called Lieutenant Commander Erickson and asked him if his new helicopters were capable of flying from NAS Floyd Bennett Field in Brooklyn to lower Manhattan to pick up the plasma and deliver it to Sandy Hook. Erickson said he could do the job even though he had never flown a helicopter in conditions like this. The maximum cruise speed of the HNS–1 helicopter he flew was only 70 knots. There were no instruments aboard the helicopter to allow flight in instrument conditions. Erickson flew his helicopter at extremely low levels along the shoreline around Brooklyn and then across the East River to Battery Park in lower Manhattan where the plasma was located. The winds were now gusting at over 40 knots and the water was choppy and freezing cold. He landed on a small empty lot at the tip of Manhattan and asked his crew member, AMM1 Gus Jablonski, to exit the aircraft so they could strap two cases of plasma to the landing floats. contact with the aircraft and, after determining that it had not landed safely, notified Coast Guard Operations in Argentia, Newfoundland. The Coast Guard launched several PBYs and PB-1Gs to search for the missing aircraft. An inbound TWA flight located the crash site about 24 miles Southwest of Gander and determined that there were survivors. The area was heavily wooded and the ground proved to be a very large quagmire. A rescue team was formed headed by Captain Samuel Martin of the U.S. Army Medical Corps. They were flown by PBYs into a nearby lake and they then trekked over one and a half miles through the swampy bog to reach the crash site. They found 18 survivors alive but badly injured. Doctor Martin determined they could not be transported to the lake by foot. Coast Guard personnel were asked if their new helicopters could be “shipped” to Newfoundland to transport the injured. Commander Frank Erickson and other fledgling helicopter pilots and mechanic’s disassembled one HNS-1 at CGAS Elizabeth City and one HOS-1 helicopter at CGAS Brooklyn, then loaded them aboard two USAAF C–54 aircraft. They were flown to Gander Airport where they were quickly reassembled and flight tested by a group of highly skilled enlisted mechanics in less than 48 hours. lumber at both the crash site and Gander Lake. The lumber was used to construct platforms for tents and for the helicopters to land on to prevent them from sinking into the bog. Over the next few days pilots Commander Frank Erickson and Lieutenants Stewart Graham, Walter Bolton and August Kleisch rescued the 18 survivors by making repeated flights, one survivor at a time, between the crash-site and Wolfe Lake where they were loaded into life rafts and towed to the PBYs for transport to Gander. Research Laboratory in Anacostia, Virginia. to develop an underwater sound detection system small enough to be carried on helicopters. Dr. H.C. Hayes and Dr. J.J. Coop headed up a team which developed several devices. CMM Oliver Berry modified a new XHOS–1 (BuNo 46448) to carry the equipment. Several tests were conducted in April 1945 near Block Island RI. with both Commander Erickson and Lieutenant Graham flying from the deck of USCGC Cobb (WPG–181), the world’s first helicopter carrier. The tests were satisfactory. On 17 January 1946, the Coast Guard took delivery of a new and more powerful HO2S helicopter (BuNo 75690). The latest version of the dipping sonar was installed and Lieutenant Graham flew the new aircraft to NAS Key West, Florida, and reported to Commander, AntiSubmarine Development Detachment VX–1 for temporary duty. German U-boat. The sonar worked very well in locating the sub. Northern California was experiencing extreme flood conditions during the rainy season. On 24 December, 1955, Coast Guard HO4S helicopter 1305 departed CGAS San Francisco and headed to the Yuba City area to evacuate stranded personnel from the flooded areas. 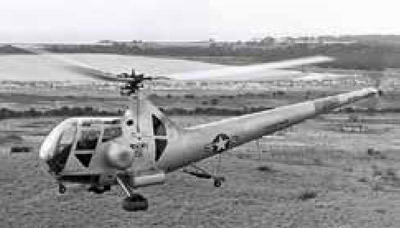 The helicopter was piloted by Lieutenant Commander George F. Thometz, Jr., and Lieutenant Henry Pfeiffer. The crew consisted of ADC Joseph Accamo and AD2 Victor Rolund. During the next 12 hours these four men pulled 138 people to safety. The first 55 people were picked up in darkness with the helicopter hovering above trees, chimneys and television antennae. The only illumination was provided by an Aldis lamp held by the hoist operator. At one time three women and 11 children were somehow squeezed into the helicopter, a record for an HO4S. 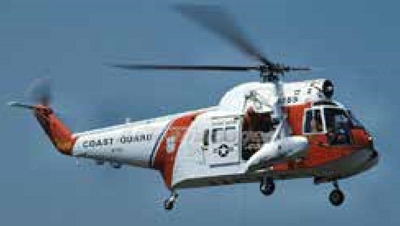 This rescue finally proved to senior Coast Guard officials that “helicopters were the most efficient rescue vehicles of the future.” Within a few years the Coast Guard would more than triple the number of helicopters assigned to their air stations and a dozen new air stations were built along the east and west coasts of the United States to ensure the rapid availability of these magnificent new aircraft. At 0500 on 1 November 1979, HH–52A 1426 scrambled to answer the call of two ships which collided just outside the entrance to Galveston Bay. Lieutenant J.C. Cobb, Lieutenant Junior Grade Chris Kilgore and AE2 Tom Wynn Jr. were the designated ready crew and they were airborne in less than 15 minutes. When they arrived on scene they found the Liberian freighter Mimosa and the Liberian tanker Burmah Agate were both on fire with flaming oil and wood products. Sailors were dying on both ships. Several had jumped into the water. The tanker suddenly exploded. The intense mushroom cloud of fire erupted so close to the helicopter that it caused it to lose lift and altitude. Two people were quickly located at the stern of the tanker. The hoist operator swung the basket to them several times before they finally leaped off the railing, grabbed the basket, and climbed in. its deck. They lowered the basket several times, following the ship around in a circle. Finally, they had recovered 12 people—far more than the small cabin could handle. Using maximum power available they slowly climbed to 300 feet, landed on a nearby oil rig and delivered the survivors to safety. They made two more trips to Mimosa rescuing 10 more people before they had to return to CGAS Houston to refuel. Note: HH–52A 1426 was recently inducted into the National Air and Space Museum’s Steven F. Udvar-Hazy Center. This very special recognition coincided with Coast Guard Aviation’s Centennial events in 2016. 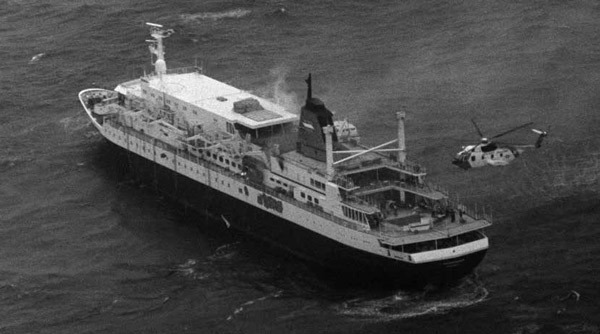 The Dutch cruise ship Prinsendam was steaming through the Gulf of Alaska near Yakutat when a fire erupted in the engine room at around midnight on 4 October 1980.
immediately aboard HH–3F 1472. They located the vessel about 150 miles offshore while the captain and crew were attempting to extinguish the fire. It soon became uncontrollable, so the captain decided to abandon ship and 320 passengers (most over 70 years of age) and 200 crew members took to the lifeboats. At that time 1472 requested additional resources while they orbited the vessel providing lighting from their Nightsun searchlight equipment to assist the passengers abandoning the ship in the dark. CGAS Sitka, CGAS Kodiak, Elmendorf Air Force Base and Canadian Forces Base Comox (Vancouver Island, British Columbia) sent helicopters and fixed wing aircraft to assist. Surface forces responded including SS Williamsburg, (an Exxon supertanker) and cutters USCGC Boutwell (WHEC–719), Mellon (WHEC–717) and Woodrush (WLB–407). HH–3F 1472 diverted to Yakutat to refuel while the other resources rushed to the scene. By daybreak the weather had deteriorated and seas were in excess of 15 feet with winds over 30 knots. 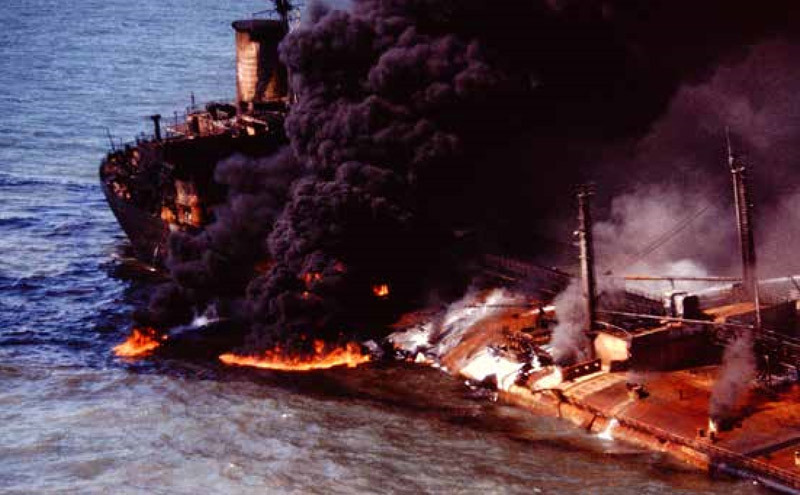 It became evident that the survivors would not be able to be recovered directly from the lifeboats to the supertanker. HH–3F 1472 returned and immediately started hoisting people out of the lifeboats and delivered them to Williamsburg. Over the next few hours, Lieutenant Melnick and his crew hoisted a total of 115 people into the helicopter. On their final hoist they crammed 24 people into the cargo compartment. Lieutenant Melnick and his crew logged almost 10 hours of flight time during this mission. By the end of the day all 520 people were recovered and on their way to dry land. None of the passengers sustained any serious injuries in spite of the high seas and heavy winds. 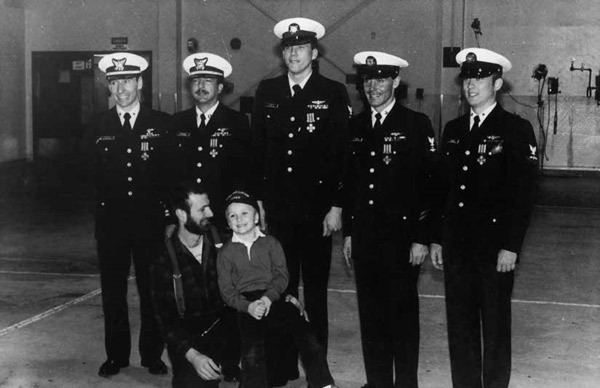 The first life-saving mission by a Coast Guard rescue swimmer took place on 10 December 1987. At 1937, Bluebird, a 26-foot long fishing vessel called Mayday and requested assistance. The duty helicopter crew at CGAS Sitka quickly boarded HH–3F 1486 and prepared to fly directly into a quickly developing storm of near hurricane proportions. Lieutenant Commander John Whiddon, Lieutenant Greg Breithaupt, AD1 Carl Saylor, AT3 Mark Milne and ASM2 Jeff Tunks were airborne in 17 minutes and were immediately buffeted by 80 knot winds, snow and ice. There were two people on board Bluebird— Jim Blades and his six-year-old son Clint. The vessel was near mountainous terrain and the visibility was less than one-half mile. The helicopter quickly arrived on scene but it could not maintain a stable hover due to the strong, shifting winds and turbulence. Lieutenant Commander Whiddon used up to 123% power and the entire range of flight controls in his attempt to keep the aircraft steady. The nose pitched up and down 20 degrees and altitude changes of 100 feet were almost constant along with 20-degree rolls. The aircraft flew backwards several times. There was no way he could lower the basket to the deck of the vessel so he told Jim and Clint to get in the water. They were both wearing survival suits and Jim strapped young Clint to himself. After almost losing control of the helicopter several times Lieutenant Commander Whiddon asked ASM2 Tunks if he would get in the water to assist the survivors. Even though his training at the U.S. Navy rescue swimmer school had never prepared him for conditions like this, his answer was, “Yes I can”. He was lowered into the freezing water from a 60-foot hover on a horse-collar sling. Once in the water, ASM2 Tunks was dragged 100 yards from the survivors. Following the nose light of the helicopter he swam through 40-foot waves, relocated the fisherman and his son and helped them stay afloat. After several attempts the wildly swinging basket finally came within reach and ASM2 Tunks rolled both survivors into it. After the survivors were safely hoisted aboard, ASM2 Tunks managed to grab the outside of the basket. He hung on until he was also safely aboard. This outstanding rescue mission clearly showed the value of helicopters and the new rescue swimmer program. The eye of Hurricane Katrina made landfall on the Gulf Coast early in the morning of 29 August 2005. The hurricane affected 6,400 miles of shoreline and created 90,000 square miles of destruction—an area larger than Great Britain. It was by far the worst U.S. disaster ever experienced with an approximate total loss of $125 Billion. 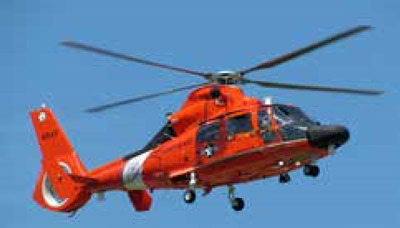 U.S. Coast Guard helicopters from ATC Mobile, CGAS New Orleans and CGAS Houston responded as soon as they could. 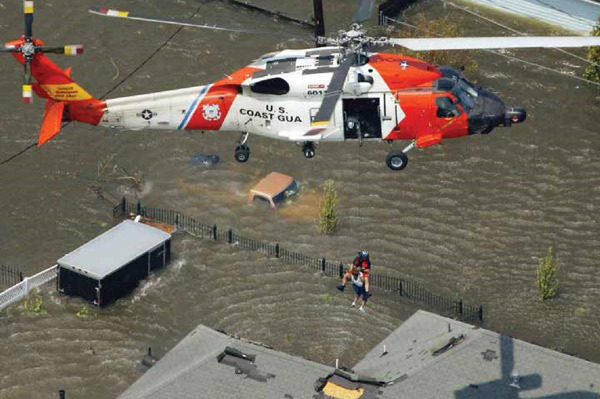 Only nine hours after Katrina’s landfall, as winds still howled at 60 knots, the Coast Guard made their first rescue when an HH–65 helicopter lifted two adults and an infant from a Port Sulphur, Louisiana, rooftop. Additional helicopters and crews flew from all over the country to assist. At one point over 40 Coast Guard helicopters from around the country were involved in rescue and recovery operations. people per hour. Other military and civilian helicopters eventually assisted in rescuing even more people from flooded homes, rooftops and other dangerous situations. It is estimated that over 33,000 people were assisted by the Coast Guard during this historic rescue and recovery operation. This rescue and response effort was the largest ever conducted and helicopters were responsible for a major portion of the rescues. 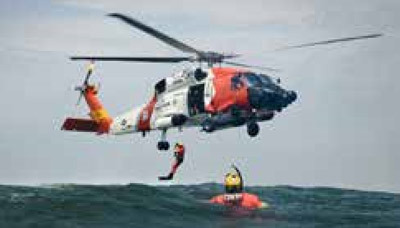 The entire U.S. Coast Guard was awarded the Presidential Unit Citation for their outstanding efforts during the rescue and recovery operations associated with hurricanes Katrina and Rita. The Coast Guard was assigned a new national security mission to protect the National Capitol Region by intercepting low and slow (usually civilian) aircraft which encroach on Washington’s special flight rules area. This 1,500-mile area is best described as a 30-mile ring surrounding the city. The Coast Guard supports this mission with armed HH–65D helicopters which are detailed to the Coast Guard Air Defense Facility in Washington, D. C.
The Coast Guard has unique law enforcement powers granted by Title 14 USC. As a non-DOD agency it is not subject to the Posse Comitatus Act which limits the powers of the federal government in using DOD military personnel to enforce domestic policies within the United States. The helicopters are on call 24 hours a day, seven days a week, and are under the tactical control of the Department of Defense’s North American Aerospace Defense Command (NORAD). In 2014 this Coast Guard unit was selected as the Aerospace Control Alert Unit of the year. The 189-foot long fishing vessel Alaska Ranger sent a distress call at 0252 on 23 March 2008 stating that the vessel was 120 miles west of Dutch Harbor and taking on water rapidly. There were 47 crew members aboard. USCGC Munro (WHEC–724) was in the area and prepared to launch her HH–65 helicopter as she headed towards the sinking vessel. CGAS Kodiak launched an HH–60 helicopter from St. The captain of Alaska Ranger ordered his crew to abandon ship before the Coast Guard crews arrived. Crew members attempted to launch their ice-encrusted life rafts but they started to drift away in the high seas and strong wind conditions. The men jumped. Some made it into the rafts; most bobbed on the sea. Alaska Ranger sank soon after and all 47 men were at the mercy of the 30 knot winds, 15-foot seas and the -24 degree wind chill. The HH–60 arrived on scene to find 47 men floating in a line stretching for half a mile with their strobe lights blinking in the darkness. Snow squalls further exacerbated the rescue operation. A sister ship, Alaska Warrior, also responded to the Mayday and started to pick up some survivors. The HH–60 crew picked up 12 survivors by lowering their rescue swimmer into the water to assist the freezing men. 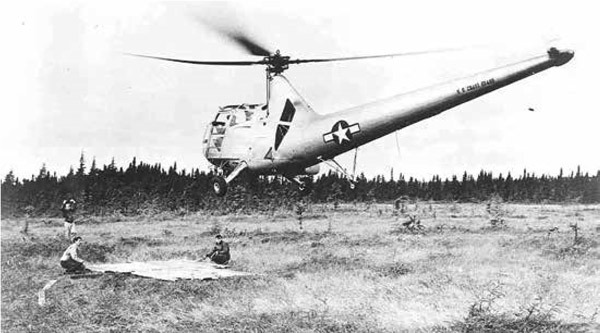 It was not possible to lower the survivors to the nearby Alaska Warrior, so the HH–60 crew decided to fly to Munro which was rapidly approaching the scene. By now Munro had also launched her HH–65 and the smaller helicopter started to pick up more survivors. They could only fit four men in their cabin, so the rescue swimmer volunteered to remain in the freezing water, making room for a fifth survivor. The HH–65 called “LOW FUEL” and headed back to Munro just as the HH–60 completed its in-flight refueling from Munro. She sped back to the scene and continued to pick up more survivors and the rescue swimmer. At the end of the day 42 men were rescued. Four others died of hypothermia and one was never found. The rescue was unprecedented in terms of numbers of people airlifted from the ocean and is considered the largest coldwater rescue in Coast Guard history. 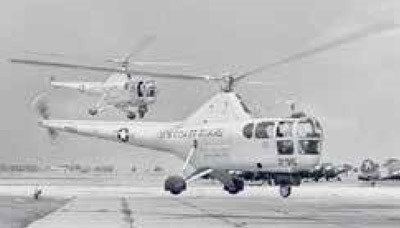 The two helicopter crews displayed exceptional risk mitigation and airmanship in fighting time, distance and weather. At 0130 on 11 March 2017, a HITRON crew made their 500th recorded drug bust in the eastern Pacific Ocean. This historic benchmark for the unique Coast Guard unit makes the total dollar amount of drugs they have prevented from entering our country at over $16.7 billion. This includes over 930,000 pounds of cocaine and 60,000 pounds of marijuana. seas. In 2000, the Coast Guard commissioned the Helicopter Interdiction Tactical Squadron (HITRON) at NAS Cecil Field in Jacksonville, Florida. HITRON operates 12 MH–65D helicopters from the decks of Coast Guard cutters in known smuggling areas in both the Atlantic and Pacific. They rely on expertly trained aircrews and precision marksmen to disable go-fast smuggling vessels by shooting their engines with .50 caliber rounds after they refuse to comply with verbal and visual warnings to stop for inspection. Maritime superiority, safety, efficiency and effectiveness has been greatly enhanced by the development and deployment of helicopters. Almost every large Navy or Coast Guard vessel leaving port now has a helicopter on its flight deck. History is written by the dreamers not the doubters. 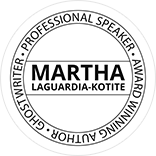 They take bold risks to alter the status quo. 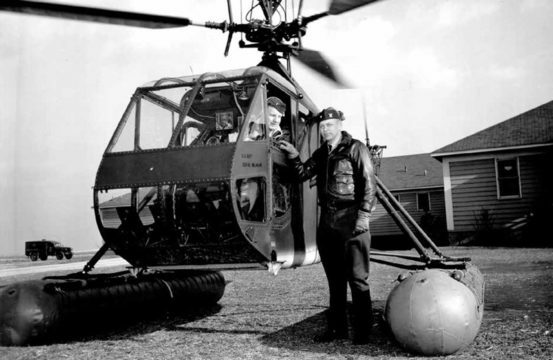 Men like Admiral Ernest King, Igor Sikorsky, Frank Erickson and a few other helicopter pioneers (“Twirly Birds”) changed the course of history. Frank Erickson’s ideas were scoffed at by most senior aviators who saw fixed wing seaplanes as the only future for Coast Guard Aviation. Erickson stood his ground and proved them wrong. Young military personnel can learn from his example and use their own unique skills and vision to shape the future of our military in the 21st Century.